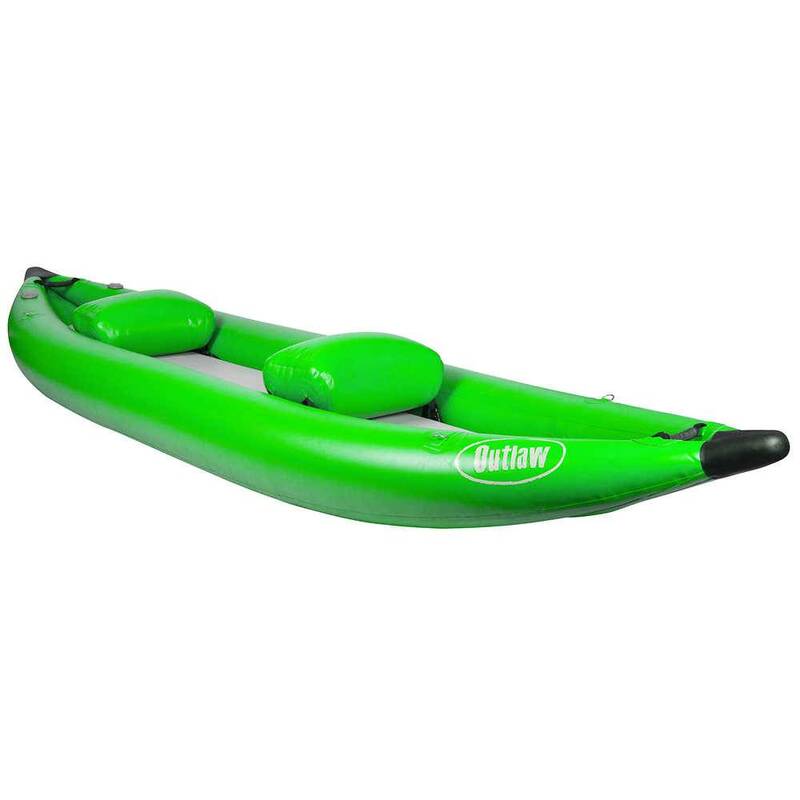 Built with the same rugged material as the NRS Outlaw Rafts and Catarafts, the NRS Outlaw II is super abrasion and puncture resistant. 38 ounce/1000 denier PVC-coated polyester material repels abrasion and slides over rocks with ease. The PVC-coated drop-stitch floor inflates to a rock hard 8-10 psi for superior wave-punching performance. 39" width gives you extra stability when the water gets rough. The rigid, drop-stitch floor and extra width combine to deliver a craft that's stable enough for beginners while keeping adrenaline junkies amped. An 18" rocker height helps the Outlaw climb over waves, while 10.5" tubes and a 4" self-bailing floor provide plenty of flotation. The inflatable thwart seats secure to drain holes in the floor, allowing you to place them just where you want them. Two stainless steel D-rings let you secure water bottles and other gear. Bow and stern handles make the Outlaw easy to carry while also providing extra tie-down points for gear.